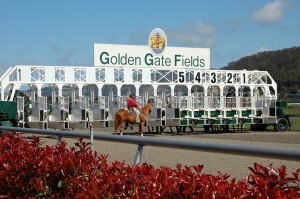 The 2013 El Camino Real Derby takes place this Saturday, February 16, at the Golden Gates Field. Northern California’s official Derby prep race is the El Camino Real Derby at Golden Gate Fields on Saturday February 15, 2013 in Berkeley, California. The El Camino Real Derby is a race for three-year-olds over a 1 1/mile tapeta (synthetic) track. 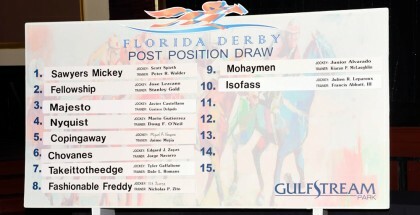 The $200,000 derby prep race will award it’s first place winner ten points towards the Kentucky Derby qualifying system. World famous trainer Bob Baffert has entered Manando and Carving in the 2013 El Camino Real Derby. Experts predict that Manando will be the early lead but will struggle to keep up his pace. 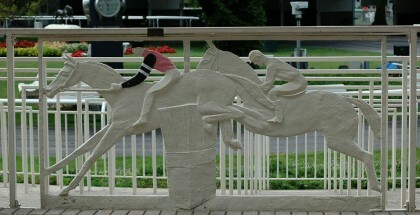 Carving is said to have a real shot at crossing the finish line first during the 2013 El Camino Real Derby. 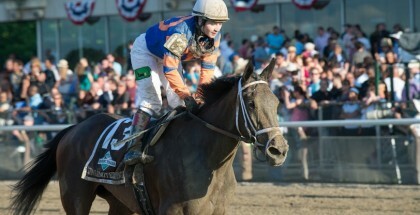 Carving has been called a “family project” because trainer Bob Baffet’s wife and son, Natalie and Bode Baffert, own him. Personally, I usually never favor Bob Baffet’s horses but Carving tugs at my heart strings a bit. A family that plays together stays together! Being located in Florida, we are a little out of touch with the Northern Californian fan base. However, I did find out that the locals in Cali truly love and adore Rush In. They also cheer for Nina’s Dragon and North Pacific. It’s always fun to root and cheer for a local fan favorite! Everyone has an eye on Zeewat for the 2013 El Camino Real Derby. Jerry Hollendorpher trains Zeewat. Hall of fame jockey Russell Baze will be aboard the Derby hopeful. This colt is said to follow instructions very well and seems to simply glide over the track when he runs. The 2013 El Camino Real Derby is the eighth race of the day and is set for a 4:22 PM PST post time. The El Camino Real Derby can be viewed on TVG and HRTV. Lady and The Track would like to wish all the contenders in the 2013 El Camino Real Derby the best of luck! UPDATE: Dice Flavor placed first in the 2013 El Camino Real Derby! Nina’s Dragon and Counting Days placed second & third.